Electronic structure methods for accurate calculation of molecular properties have a high cost that grows steeply with the problem size; therefore, it is helpful to have the underlying atomic basis functions that are less in number but of higher quality. 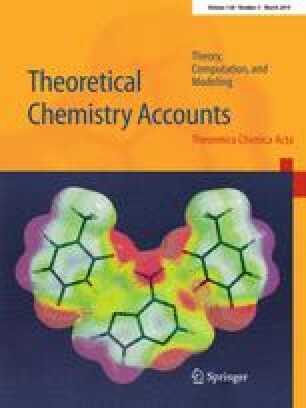 Following our earlier work (Laikov in Chem Phys Lett 416:116, 2005. https://doi.org/10.1016/j.cplett.2005.09.046) where general correlation-consistent basis sets are defined, for any atom, as solutions of purely atomic functional minimization problems, and which are shown to work well for chemical bonding in molecules, we take a further step here and define a new kind of atomic polarization functionals, whose minimization yields additional sets of diffuse functions that help to calculate better molecular electron affinities, polarizabilities, and intermolecular dispersion interactions. Analytical representations by generally contracted Gaussian functions of up to microhartree numerical accuracy grades are developed for atoms hydrogen through nobelium within the four-component Dirac–Coulomb theory and its scalar-relativistic approximation, and also for hydrogen through krypton in the nonrelativistic case. The convergence of correlation energy with the basis set size is studied, and complete-basis-set extrapolation formulas are developed. The online version of this article ( https://doi.org/10.1007/s00214-019-2432-3) contains supplementary material, which is available to authorized users.